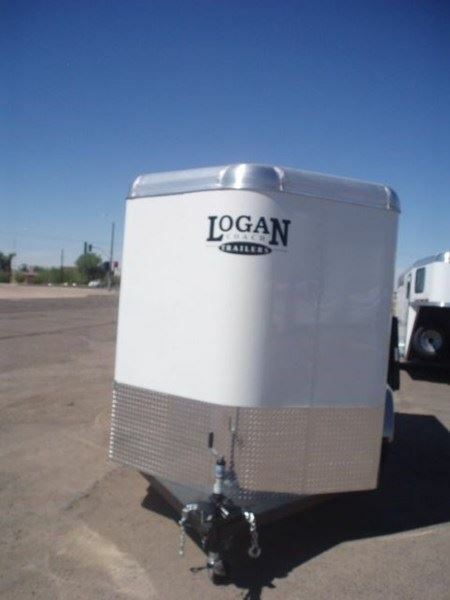 Bishops Trailer Sales New line... Logan Coach!! 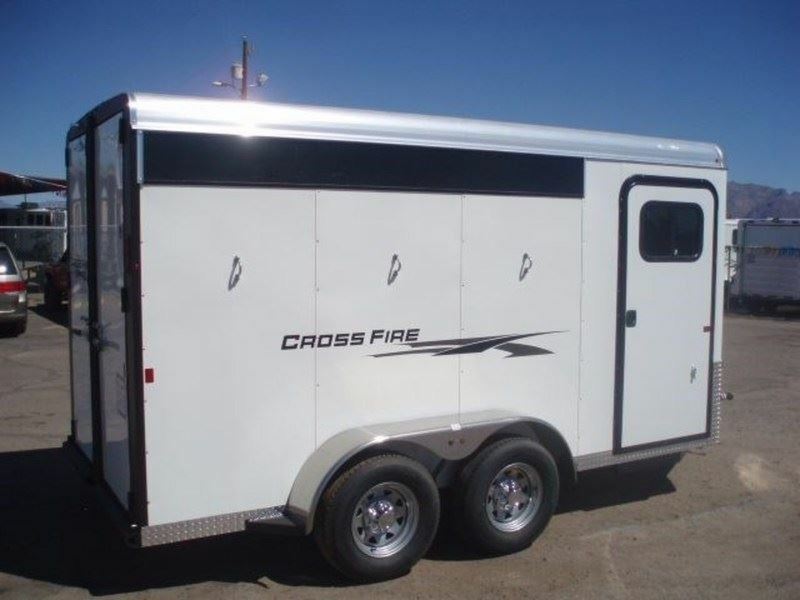 2019 Logan cross fire 3 Horse bumper pull slant load, 7' tall, 6'9 wide & 16' on the floor. 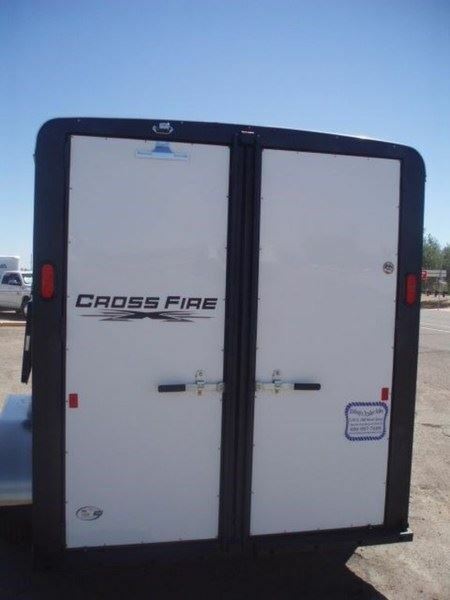 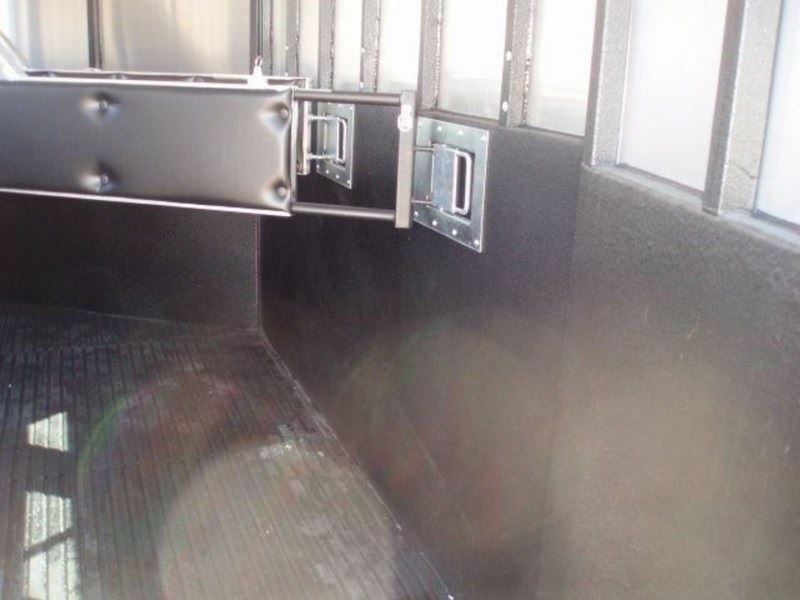 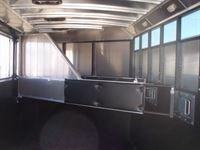 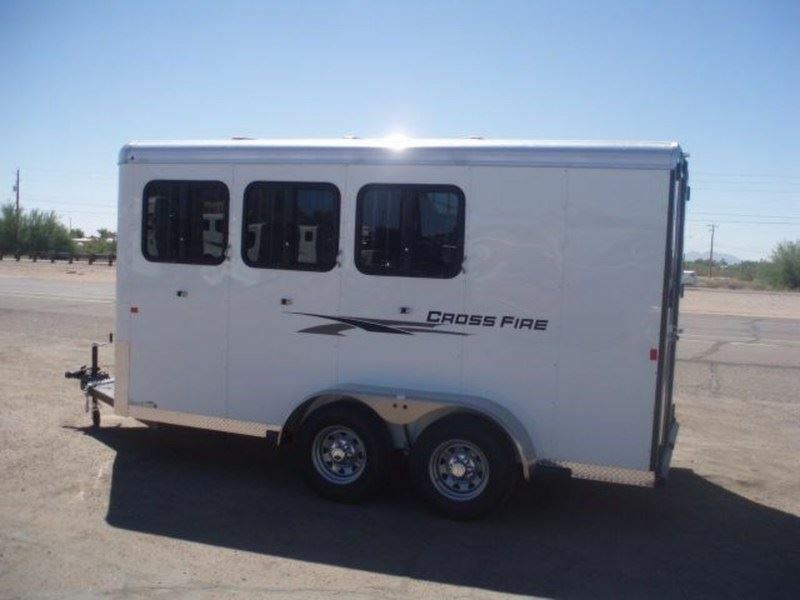 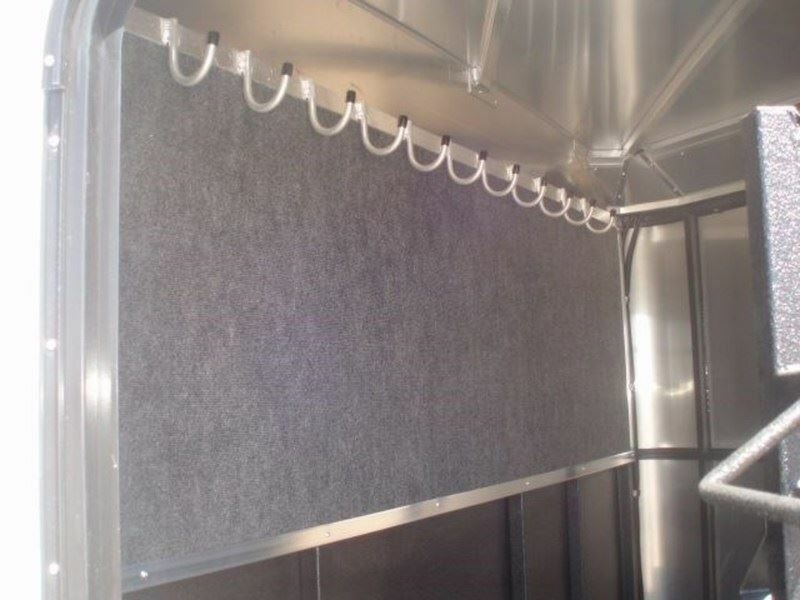 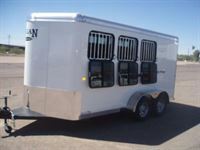 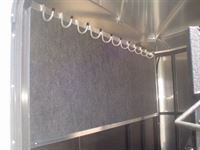 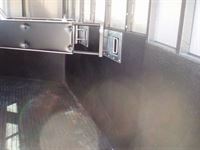 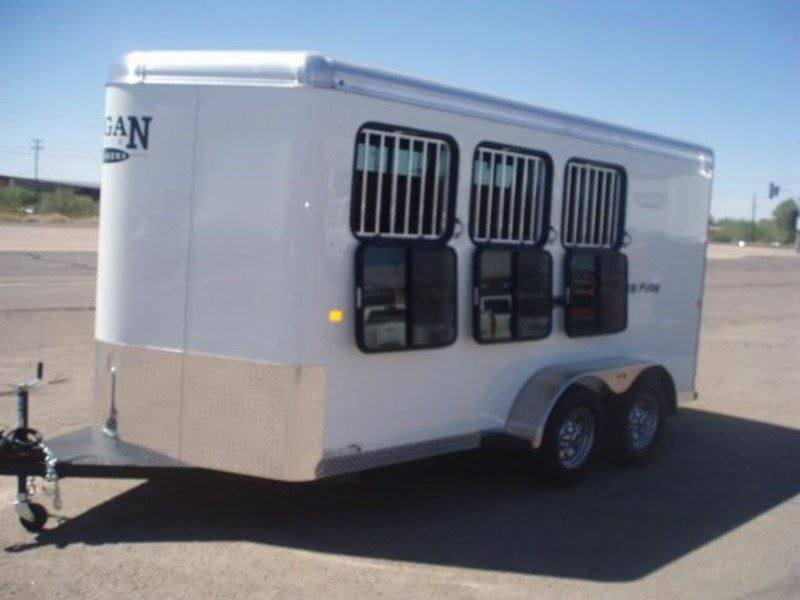 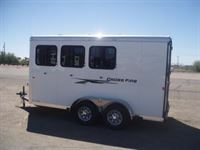 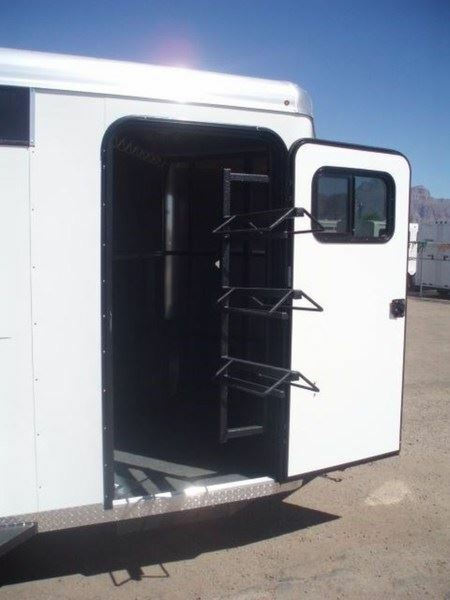 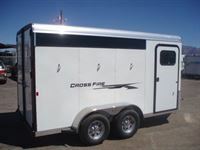 Trailer is galvanized steel sprayed with vortex coating, with Aluminum skin, includes fully carpeted front tack, blanket bars, bridle hooks, heavy duty swing out saddle rack with blanket bars, drop windows on the headside with safety grills, open on the hip with plexi glass track & plexi glass, interior LED lites, padded stall, one piece aluminum roof, along with aluminum roof bows, aluminum roof cove, double back doors, galvanized steel walls with vortex coating, diamond plate gravel guard, 2 5/16 ball & spare.